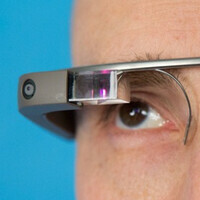 Google Glass has almost become a pariah in some locations. Some restaurants and bars won't serve patrons who are wearing the connected specs, and recently a movie chain in Austin told its customers wearing Glass, to remove them before the trailers start. How can Google fight back to make its wearable shades become a device as wholesome and friendly as the smartphone? Is there a way to take the hole out of Glassholes? Google thinks so. By attaching a more human side to the Glass experience in a new ad, we see videos taken by Fathers swirling their kids around. There is no talk about Glass wearers taking videos of unsuspecting people. Instead, we see just dads, wearing Google Glass to film memories of their sons and daughters. The ad is perfect for today's celebration of Father's Day. Will humanizing Google Glass remove the stigma that the device lives with? Google might have to do more of this to show off the positive side of the product's capabilities. Check out the human side of Glass by clicking on the video below. They always sell the greatest evils by using children as means of brainwashing the populace. Sometimes it is "protect the children from great evils" other times it is "children are so special, so important". The sad thing is that this tired old trick seems to just keep working. No one asks questions about what happens when the kids grow up and Google has complete records of their childhoods that they, as individuals, have no control over. Use Google Glass to record something that could be construed as "bad parenting" and you could lose your kids to the state. Google or the government could just edit some footage together and make whatever they want. The potential for abuse is massive. Why don't you take a seat? Grab a seat. Please - take a seat. Dude, why so afraid? I for one completely disagree with you on many levels. People who fear a future more open are the very ones we should be afraid of. If you have nothing to hide them surely there is nothing to fear. Security for the majority will be greatly improved and devious folks will be found out and this to me is a win win. I'm going to pick a pair of these up, 1500.00 is a great deal!